Register for the 12th Annual Central Ohio Charity Shoot! Join the Sportsmen’s Alliance Foundation for a first-class shooting event that will combine friendship, competition and fun, all while helping to protect our passions of hunting, fishing, trapping and recreational shooting. The 12th Annual Central Ohio Charity Shoot will take place at Cardinal Shooting Center on Saturday, May 5, 2018, and all proceeds will benefit the Sportsmen’s Alliance Foundation, which supports our work in the courts, at the ballot box, research and public education – including the ever-popular Trailblazer Adventure Program, which has introduced nearly two million youth and their families to the outdoors. 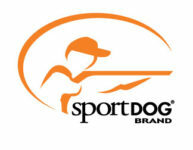 Click here to register as a shooter or sponsor or call us at 614-888-4868. If you cannot attend, but would like to make a donation or seek other ways to support our mission, please contact us. Lunch and raffle 12 p.m.